For decades, scientists have puzzled over one of medicine's most confounding mysteries: Why doesn't our immune system recognize and fight cancer the way it does other diseases, like the common cold? As it turns out, the answer to that question can be traced to a series of tricks that cancer has developed to turn off normal immune responses-tricks that scientists have only recently discovered and learned to defeat. The result is what many are calling cancer's "penicillin moment," a revolutionary discovery in our understanding of cancer and how to beat it. 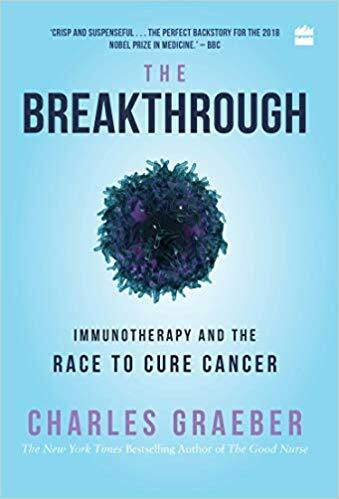 Journalist Charles Graeber expertly traces the fascinating history of immuno-oncology and guides readers through the revolutionary scientific research bringing cancer treatment into the 21st century. As advances in our understanding of cancer and the human immune system continue to fuel a therapeutic arms race among biotech and pharmaceutical companies around the world, the next step - harnessing the wealth of new information into modern and more effective patient therapies - is already well underway. 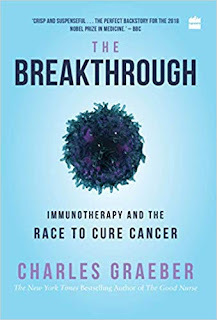 Groundbreaking, riveting, and expertly told, The Breakthrough is the story of the game-changing scientific discoveries that unleash our natural ability to recognize and defeat cancer, as told through the experiences of the patients, physicians, and cancer immunotherapy researchers who are on the front lines. This is the incredible true story of the race to find a cure, a dispatch from the life-changing world of modern oncological science, and a brave new chapter in medical history. Charles Graeber is a former medical student, a contributing editor to Wired, and also contributes to publications such as The New York Times, The New Yorker, GQ, Vogue, and many others. He has received many awards, and his work has been featured on NPR, CNN, the BBC, and numerous other media outlets.